FLIR Systems, Inc. has announced the multi-purpose FLIR EM54 environmental meter for heating, ventilation, air conditioning, and refrigeration (HVAC/R) measurements. The FLIR EM54, based on hygrometer technology, identifies deviations from ambient relative humidity levels, which can cause static hazards at manufacturing sites and discomfort in homes and offices. This high-quality, easy-to-operate meter helps users quickly and accurately identify symptoms of clogged HVAC/R filters, duct leaks that reduce airflow, and overloaded systems. The highly accurate FLIR EM54 is ideal for inspecting ducting, electrical motors, thermal equipment, and other system components in residential, commercial, and industrial facilities. 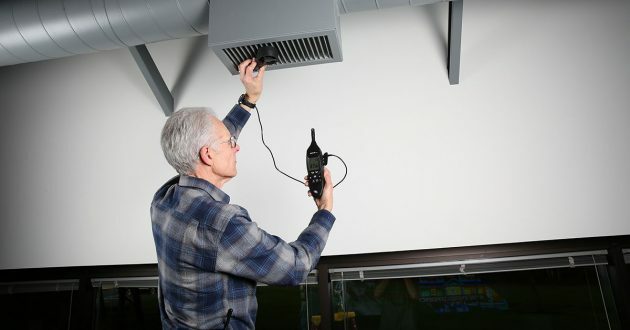 Equipped with an external vane anemometer for wide-range, high-resolution air velocity measurements, the FLIR EM54 allows users to check air speed at duct inlets and outlets quickly and precisely. This allows for simplified duct airflow calculation and efficient troubleshooting. The EM54 includes a Type-K contact temperature probe to allow users to check electric motors and thermal equipment components for proper operating temperatures. The EM54 also calculates wet bulb and dew point temperature. 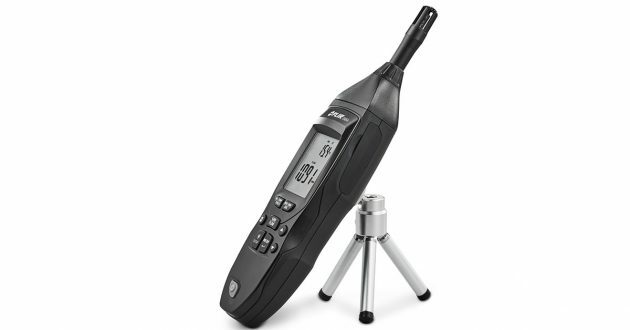 The FLIR EM54 environmental meter features an intuitive set of function keys, making it easy-to-use, and easy-to-read with a backlit multi-function display, a MIN-MAX-AVG recording function, and a programmable auto power off timer. The rugged, multi-purpose diagnostic tool comes with a three-year limited warranty.